During four days, officers, operators and technicians from the Artillery Corps and the Ordnance Corps of the Irish Army visited Saab´s business area Dynamics in order to enhance their air defence capability. 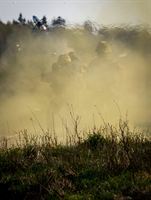 Besides simulated training and technical support, the soldiers fired ten missiles against aerial and static surface targets. 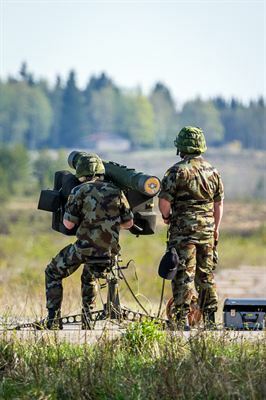 Eight missiles were fired from the RBS 70 system against both target types and two missiles were fired from the latest generation, the RBS 70 NG, also at both target types. “The RBS 70 system is a reliable air defence system which is easy to use. It has been in service with our army for many years and we have used it in various environments for protection of national events and state visits. Defence Force operators consider it a system which they can rely on no matter the weather conditions or countermeasures”, says Lieutenant Colonel Noel Murphy from the Irish Army. The Saab portfolio of short-range ground based air defence missile systems comprises of the RBS 70 and the enhanced RBS 70 NG. The RBS 70 system has an impressive track-record on the market. Nineteen countries have procured more than 1,600 RBS 70 systems, including more than 18,000 missiles.